Stuck on what to buy a watch collector this Christmas? Or looking for something to nudge a close family member in the right direction? Read more! Recently added to our range, these canvas watch rolls are a must have for anyone who regularly needs to transport watches. 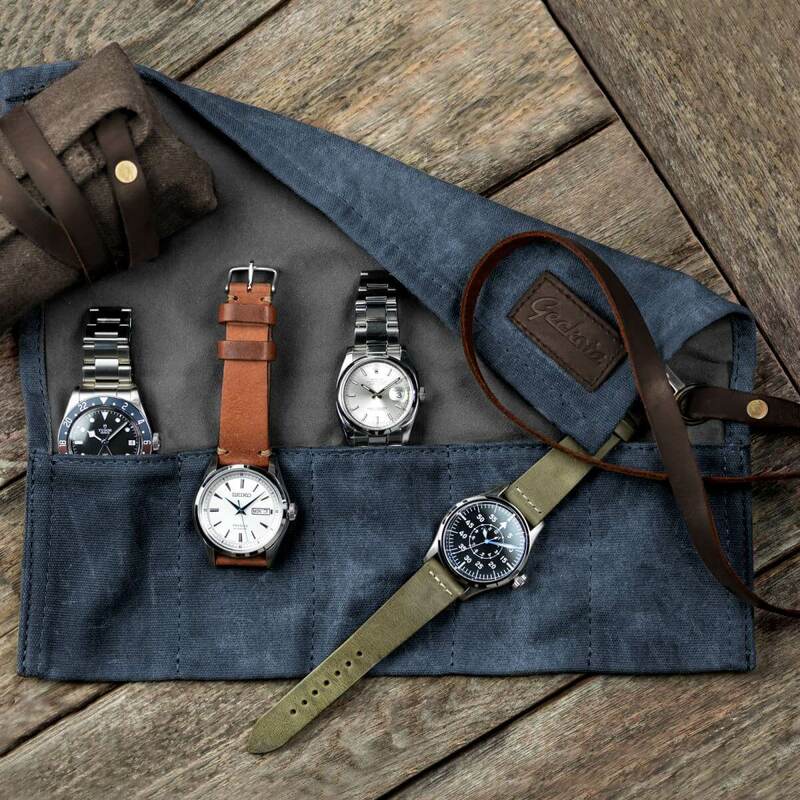 With well-secured compartments for five watches, the watch roll is made from lightweight, durable water-resistant waxed canvas. This is a fantastically practical material that also looks the part as well. The result is a secure way of carrying many watches without any worries. There is also a soft flannelette lining to not only protect your timepieces but also to display your watches when you decide its time to pick one to wear. Made generously to fit even a large case size of watch (for larger watches you may find its best the strap can be placed in first), the watch roll rolls up neatly and securely when on the road with the attached genuine leather strap. Whether you're gifting this for someone who hops from watch get together to watch event, they're in and out of the country for work, or they need to store their watches in a more practical, secure and stylish way - you'll need to pick one of these up (you might want to get one for yourself as well!). This was enviable from us right? 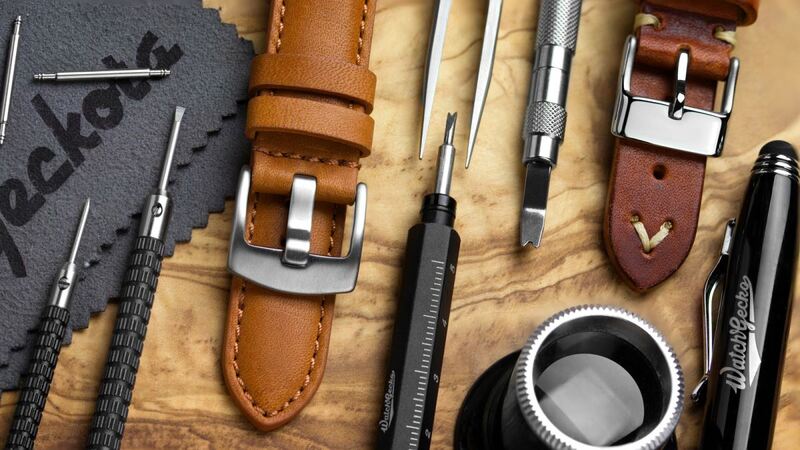 Buying replacement watch straps are one of the most impactful ways you can completely transform watches. After nearly three years at WatchGecko, it still amazes me every time I change the strap out on a watch, it's like a new watch with every change. 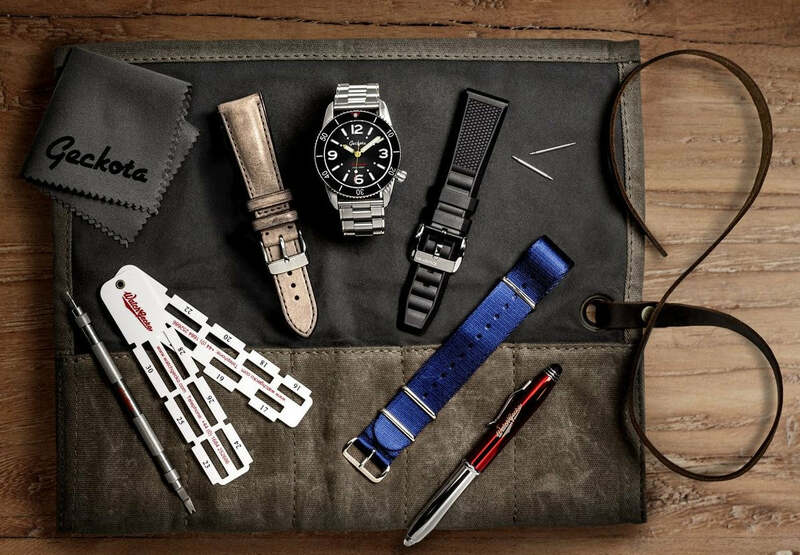 Fortunately, we have a wide range of replacement watch straps to choose from including leather, nylon, rubber and metal offerings. Not sure which watch strap to go for? Check out our useful guide here! Whether you're shopping for someone else or you're checking out what you can hint at your loved ones to get for you, watches are one of the best, meaningful gifts you can give/receive. 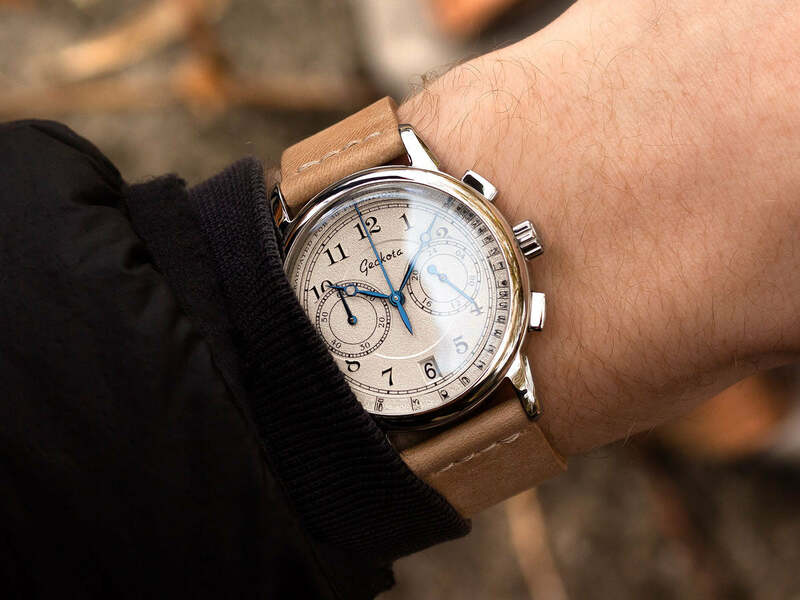 With care, watches can easily last a lifetime and, from someone who owns a handful of meaningful watches, it's a fantastic practical and meaningful gift. With this in mind, the latest Geckota collection truly offers something for everyone. Looking for a tough, practical tool watch? Or maybe a classic dressier watch for those smarter occasions? Need something every day? Check out the full range of Geckota watches here. 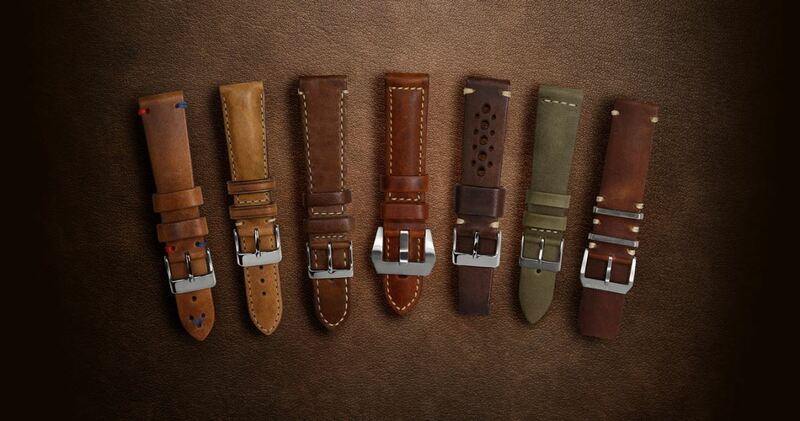 Here at WatchGecko one of the most popular strap offerings is our leather straps. No corners are cut on the quality, we design every single product in-house here at our UK HQ and they're all bang on style with the current trends. With this in mind, we have expanded on the popularity of leather by introducing our first selection of leather goods. 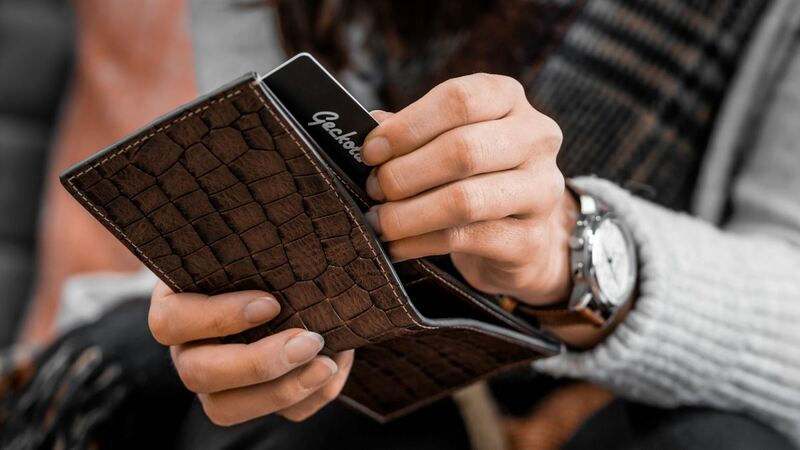 You can expect all the great qualities you're familiar with from our leather straps but now in the form of leather wallets and cardholders. We understand that likely if you're reading this, you may know not as clued up on the watch world as maybe the person you're buying for is. Don't worry! This is where our gift sets come into play. We've combined our extensive knowledge of all things watches with some of the top products mentioned above to create our new gift sets. Each set includes products handpicked by us here at WatchGecko. 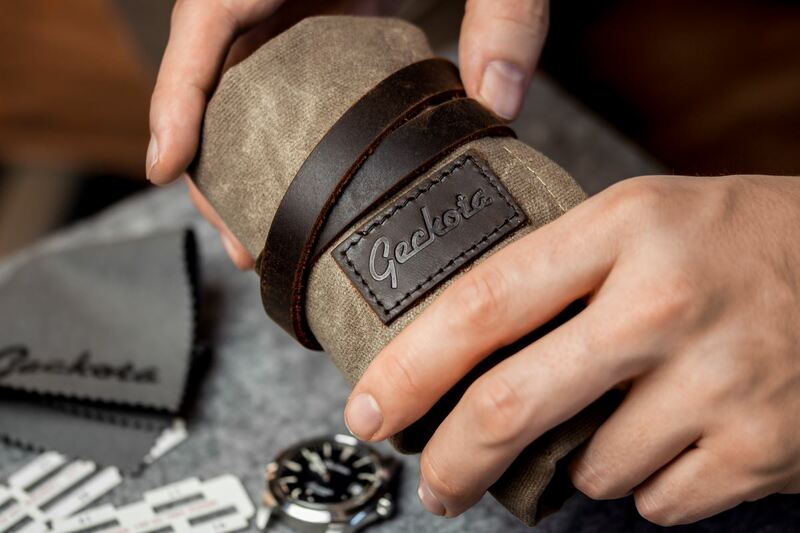 We have many sets including a selection of our successful Geckota watch as well as the must-have leather goods. Each watch gift set includes unique products for each timepiece which we know look great, meaning a stress-free gift buying experience! We've recently introduced a range of Seiko Watches on the WatchGecko site. 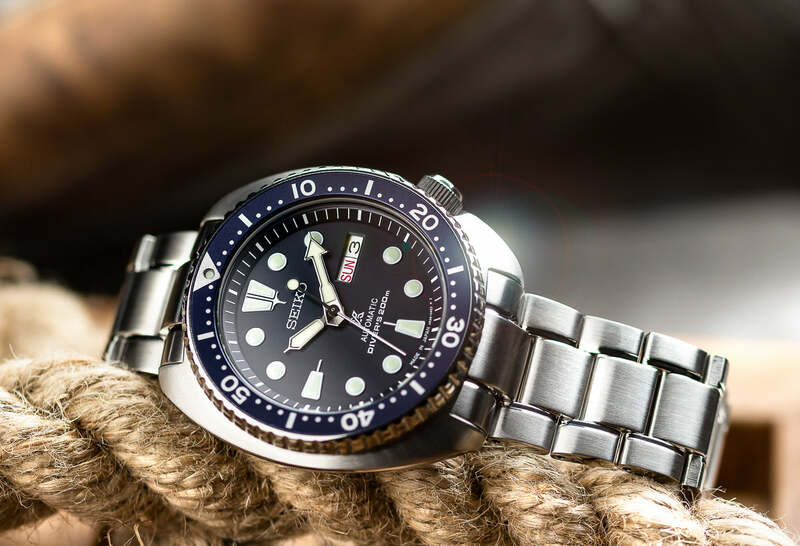 As we're passionate watch collectors, we wanted to add our knowledge of popular and exceptional examples of Seiko watches to the website to not only offer you a place to come and read about our thoughts on these models, to see some top strap suggestions but also a trustworthy, reliable place to purchases these hard to find models. Everything from the Seiko Cocktail Time and a solid SARB alternative in the SRPB69J1 Presage to the ever popular Seiko Turtle, Samurai and the hard to find Seiko SKX Made in Japan model. Check out the current line up of Seiko watches now live. Never under-estimate the value of having quality, reliable tools to hand. Us watch collectors love playing with the watches we spend a lot of time and money with. Constantly juggling spring bars, cleaning the collection, deciding on which strap to add next or even just creating our individual lists of grail watches. This is where our top accessories come into play. Everything from our WatchGecko spring bar tool (wide fork, thinner fork and pin all available in one tool), a surprisingly useful lug gauge for quickly working out the lug width of any popular watch and our WatchGecko pen which has a great weight to it and writes extremely smoothly. So there you have it, a quick break down of our top gift selections!